Ladybug Grasshopper Environmental plug-in just released a new set of free components for analysis of Photovoltaics. They are based on the PVWatts v1 online calculator, supporting crystalline silicon fixed tilt photovoltaics. 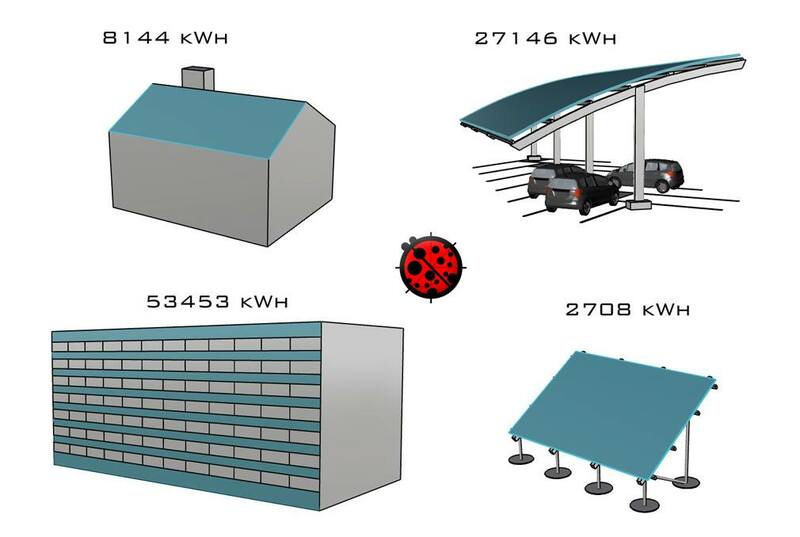 These components help you answer the question: "How much energy can my roof, building facade, solar parking... generate if I populate them with PV panels?"